Colleges and employers continue to grapple with the fact that students in the United States are not prepared for the demands of higher education and the workforce. Students scramble to figure out where to go to school, how to get in, what to study, and how to pay for their education, one of the most important investments of their life. Education is a complex but highly valued system. It’s a pathway to opportunities in life and a cornerstone of economic prosperity, but far too many students get lost along the way. What can students do to make sure they get the most out of their education? In this unfiltered, non-academic, and straight to the point personal essay, students are challenged to ask tough questions about their education and personal goals. They are provided insights based on the experiences of a young professional who has been where they are, and has a few thoughts on how to get them where they want to be. Targeted Age Group: Teenagers, preferably in high school, and parents of said teens. While the author has made every effort to provide accurate internet addresses and references at the time of publication, neither the publisher nor the author assumes any responsibility for errors, or for changes that occur after publication. Further, neither the publisher nor the author has any control over and does not assume any responsibility for third-party websites or their content. Except for brief quotations in printed reviews, no part of this publication may be reproduced, scanned or distributed in any printed or electronic form without written permission. Please purchase only authorized editions. Education is an investment. There are different strategies with varying rates of return. I wish I had known how to compare the total cost of my post-secondary education against what I could expect to receive in return. Would all the money I shelled out be worth it? How does one determine the value of a college degree? It’s not an easy question to answer but it’s certainly something I wish I’d thought about more carefully while in high school. So I’d like to revisit the concept of exploring your educational options and extend the continuum of thought beyond the boundaries of high school because the concept is applicable to post-secondary education. 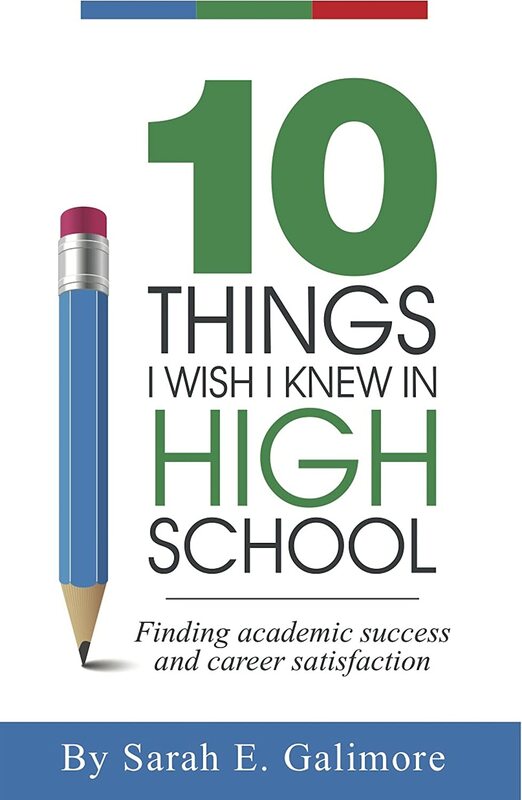 There are multiple pathways to success and options to consider when it comes to scoping out a path for your post-secondary educational pursuits. To frame what’s about to follow, let me clarify that I do not and will not subscribe to a school of thought that maintains a particular path is right or wrong, good or bad, or more likely to lead to greater success. I do however abide by the perspective that when it comes to education, the road taken is just that; a road that like many others, can take you to your destination, just via a different route. It is more important to establish clarity of direction and vision, informed by your ideology and preferences, to serve as a means of finding the path that is best for you. Education is viewed by many as an investment and given the exponential rise in the cost of a degree, the value of this investment is subject to scrutiny. The big question: is college worth the cost? The answer is yes, it most often is. Numerous studies leave little doubt that in general, you’re better off with a college degree. However, this should not minimize the need to engage in this type of scrutiny. If your strategy to get where you’re going is to invest in a college degree, does it not make sense to fully understand all the factors? Should you go the community college route or directly to a four-year institution? What might the variance in experience and outcomes be at a public university vs. a private? How much are you willing to invest—most likely in the form of debt? These are just a few points of consideration that should be evaluated as your plans for college are developed. What you invest and your strategy is only part of the equation. The other side of the coin is the expected rate of return. If you’re going to allocate a certain amount of money over a specific time period, via selected vehicles, what will that investment yield? By what metrics are you going to determine if the risk was worth the reward? By what guidelines do you determine if the gains were worth your time and money? When it comes to financial investing, these areas are closely scrutinized and I don’t know of anyone who makes such decisions without clear visibility to potential returns. Some would scoff at what may appear to be an oversimplified and narrow analogy as a basis of comparison in the college decision-making process, and are quick to point out the broader, intrinsic and invaluable rewards of the collegiate experience. A more enlightened approach is to focus on the experience, the opportunity to explore oneself and delve into stores of wisdom preserved within the sacred ivory towers of academia. Fair enough, but just remember that colleges and universities aren’t making admissions decisions solely based on a desire to provide as many students as possible with the collegiate experience. They too have finite resources that must be allocated in a manner that ensures their overall success as an institution. The decision-making process for the thousands of applications received is multivariate, based on specific, agreed upon objectives and targets, and judiciously executed in alignment with those objectives. If colleges are evaluating you based on several factors and assessing what you will bring to their community, you should return the favor. Don’t immediately go to college, simply because it’s the thing to do after high school. Don’t select a college without having thought through all of the dimensions that will determine its value to you. Education is an investment and you should treat it as such. Let’s pause from the commentary and examine in tangible terms why this matters. Why it’s important to at least consider the different pathways to higher education and why it’s risky to overlook the specific nuances that impact how your degree positions you in the marketplace. We’ll start with a story and then look at some facts. The story is an abbreviated retelling of the tale of two siblings. It starts in a tiny village in upstate New York that a happily married couple called home. Though born and raised in the south, not too long after Johnny, their first child, was born, they moved up north and settled into comfortable country living. Two years later, to their complete and indescribable joy, they welcomed their daughter, Jannie, into the world. Johnny and Jannie grew quickly. Even as toddlers, it was clear they were very different in their make up. Mom and dad enjoyed watching their personalities develop and made every effort to encourage their individual interests and pursuits. Encourage, support and indulge they did, but certainly not without challenges. Johnny was a confirmed technophile quite early in his youth. Toasters dismantled and phones ripped apart, dad eventually recognized that unless he gave Johnny electronics and gadgets to play with, he would end up replacing household appliances on a rather frequent basis. Johnny had a gift and an insatiable curiosity about how things worked, particularly electronics. He was a kinesthetic learner, more apt to explore and engage through hands-on interaction, so much so that it was a consistent up-hill battle to get Johnny to complete any of his school work. Jannie on the other the hand, excelled in school. Through reading, writing and visualization, she thrived in various learning environments. Time passed quickly and soon, it was time for Johnny to depart and make his way in the real world. To the dismay of many, Johnny refused to go to college. His grades were reasonably good. Somehow, by showing up for class and doing well on exams, Johnny had an average GPA. College was an option, but he was resolute in his decision, weathering his fair share of pressure and ridicule. Despite sarcastic comments from peers, like “you’re going to be taking out the garbage here when my kids are in school,” Johnny felt that college was not the appropriate path for him. Mom and dad supported his decision to an extent. They suggested that he continue to evaluate his progress and in a year or two reconsider going to college. Johnny did evaluate, several times, but he never went to college. Jannie however, couldn’t get to college quick enough. She poured herself into her school work and extracurricular activities. She was diligent in her studies, working to ensure the quality of her work was the best possible. There was never any question of whether or not Jannie was going to college. It was just a matter of when and where. When graduation rolled around, Jannie was ready and looking forward to the experience ahead. Throughout the ensuing years, mom and dad continued to support their children in many ways, encouraging them in all their career pursuits and dreams. It was with great pride that they watched their children blossom in their adulthood and forge respectful, rewarding and productive lives. Indeed, that’s what every parent hopes for their child and they want to place them on the path that will get them there. In the case of Johnny and Jannie, just how did their paths compare? Where are they today? Well, I can tell you because as you may have surmised, this is my story! My older brother, the eldest in the family, did not go to college. Here’s a snap shot at where the different paths led my older brother and I. To Go or Not To Go…is that the question? A college degree doesn’t guarantee your success in life, no more than not going to college equates to guaranteed failure. It all depends. There are too many variables that factor into the formula for success to make such assertions. It’s up to every student to first determine what they hope to accomplish out of life, what they are willing to sacrifice and invest along the way, and then to identify the most appropriate strategy in light of those criteria. Blindly trying to get into a school based on one or two factors may be a bit naive in my opinion. I could have gone to community college and completed my first two years completely free. I could have gone to a public university for a general business administration degree, but the private, four-year institution allure reeled me right in. That was my first criterion. I wanted to go to a private school. My second criterion was distance, to be able to go home whenever I wanted and stay active with my family. My final criterion was cost. Though my dad said that whatever school I wanted to go to, he would make it happen, I didn’t want to put undue burden on the family coffers. Though I certainly put thought into this process, the scope of my analysis was far too narrow. There were many areas left unexplored, uncalculated impacts of various factors and implications for my future that I never considered. I wish I had treated this decision more like an investment, working through the different strategies and likely returns. They say luck is when opportunity meets preparedness. If that’s true, then a lot of college students are rather unlucky, given persistence rates and other insights that point to the struggles that plague students entering college and the workplace. So what do you do? Nearly every indicator says your chances are better with a college degree. But how do you reconcile the insights from some of the other statistics that are out there? Start by asking the right questions. That’s what we’re really after right? A decent quality of life. Well, luck has nothing to do with it and higher education may or may not be the panacea you seek. Whether or not you go to college should not be the focus of your inquiry and decision-making process. You should be educating yourself on the realities of the world in which we live; the skills employers need, the problems requiring solutions, the determinants of success. You should be aware of the areas in which you thrive, areas in need of improvement, the sacrifices you’re willing to make, and where exactly you see yourself after graduating. Ask the right questions, find the right answers and get with a program that’s right for you. An investment without a well devised strategy isn’t an investment at all. It’s speculation. Reflective Moment: What’s your definition of success? What’s your strategy to achieve that success and the best vehicle to get you there? SARAH GALIMORE is the founder of an online educational community dedicated to providing affordable, comprehensive and forward-thinking academic and career planning services. Sarah hopes to combine her professional experience and her interest in education to support students in making the most of their educational opportunities. You can learn more about Education Planning Partners at www.eppinspires.com.